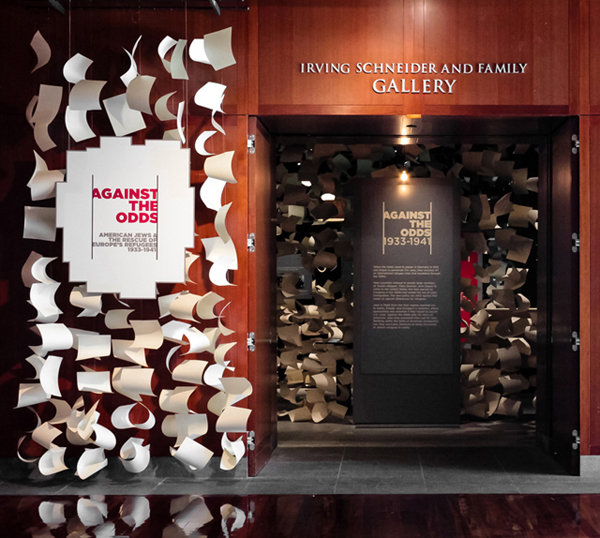 A C&G Partners team led by partner Jonathan Alger recently opened "Against the Odds: American Jews and the Rescue of Europe’s Refugees 1933-41," an innovative new exhibit for longtime client the Museum of Jewish Heritage - A Living Memorial to the Holocaust in Lower Manhattan. According to the museum's blog , visitors have been generous in their praise for the design, even referring to it as "brilliant". 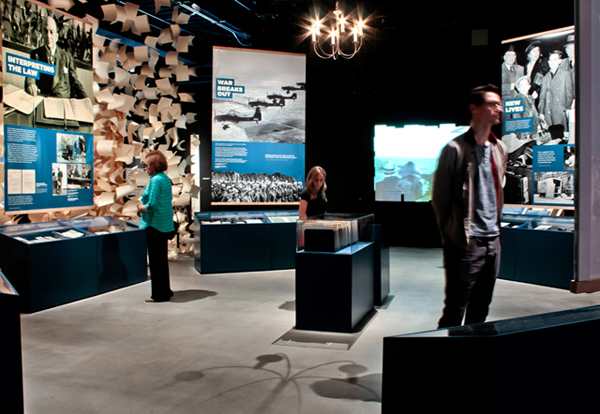 The Wall Street Journal's review of the project said: This wrenching and elegant exhibition tells its story, of both rescue and the impediments to rescue, almost as much through design (by C&G Partners) as content. 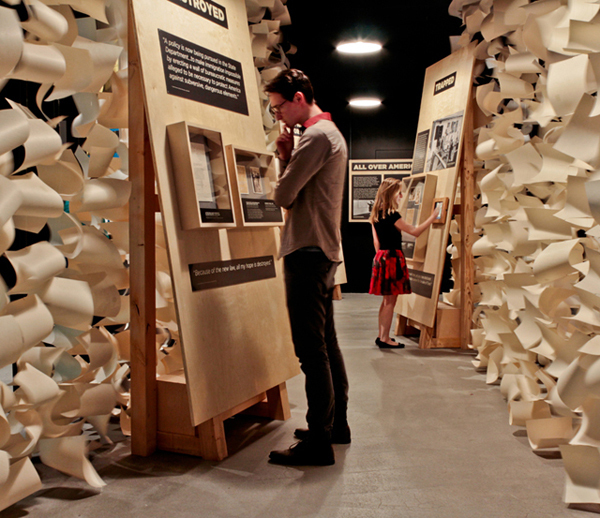 It is constructed as a sort of maze with walls of paper. 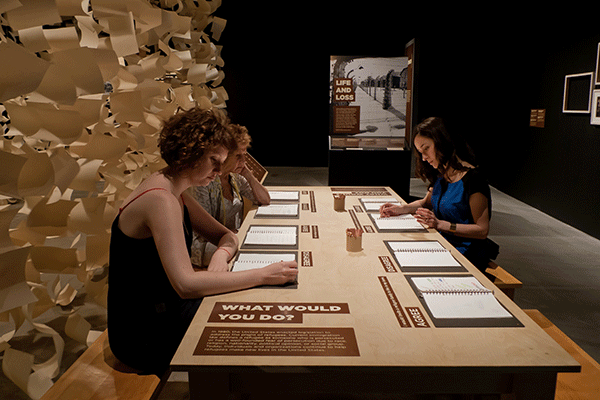 Exhibits are displayed not in conventional vitrines, but on slabs resembling tables (evoking endless visits to U.S. consulates) or (closed) doors. 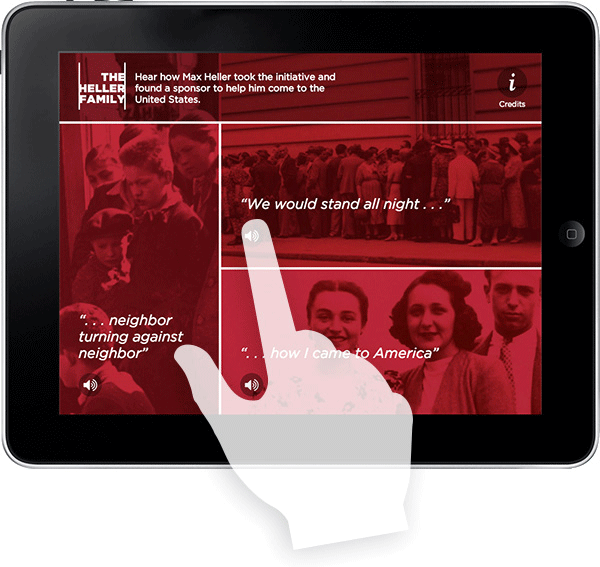 Color, too, is used effectively, with text panels in red, for instance, denoting high danger and those in black symbolizing the cutoff of avenues of escape once World War II began. 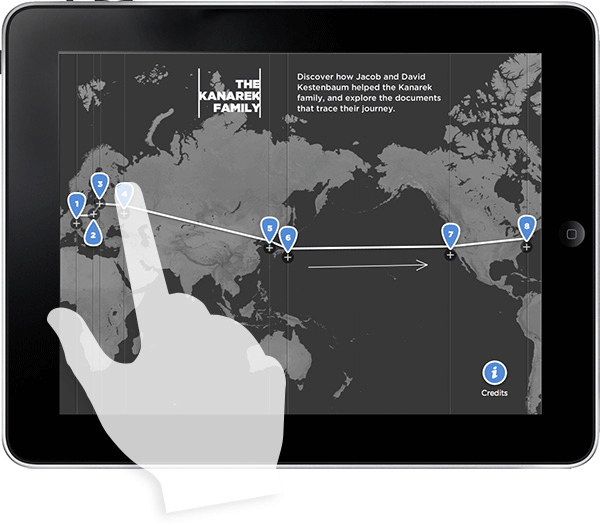 Read on for a full illustrated project description. 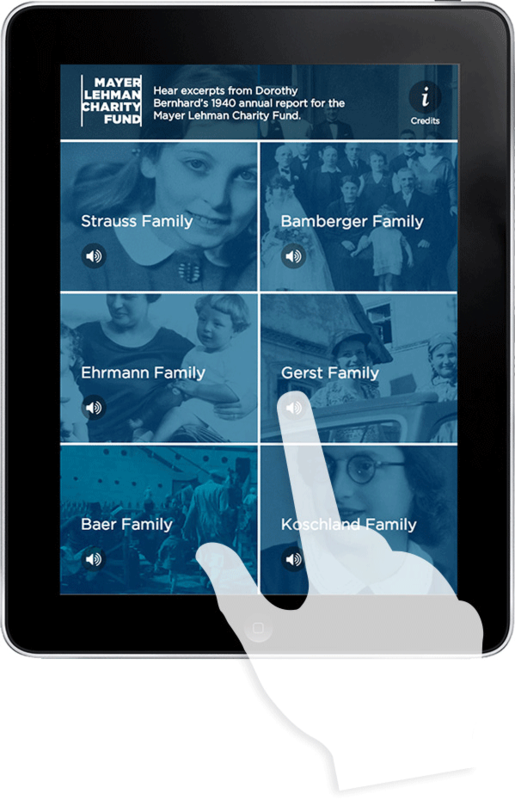 From 1933 to 1941, European Jews in flight from Nazi persecution sought haven in the United States, reaching out to relatives, friends, and even strangers. 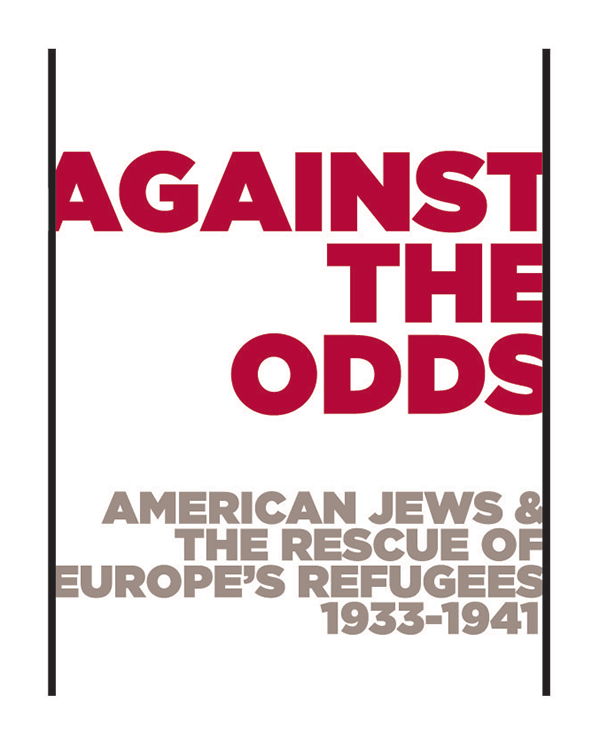 Against the Odds tells the story of American Jews who answered their call for help. 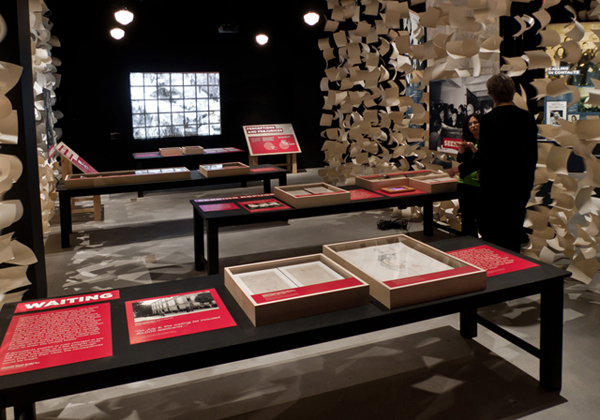 The exhibition begins with two animated pieces that run as a parallel pair, one showing the context of the period in the US, the other showing Europe. Working within the constraints of American laws that strictly limited immigration, these generous individuals – many who were recent immigrants themselves – overcame tremendous obstacles to help many of the refugees reach safety. 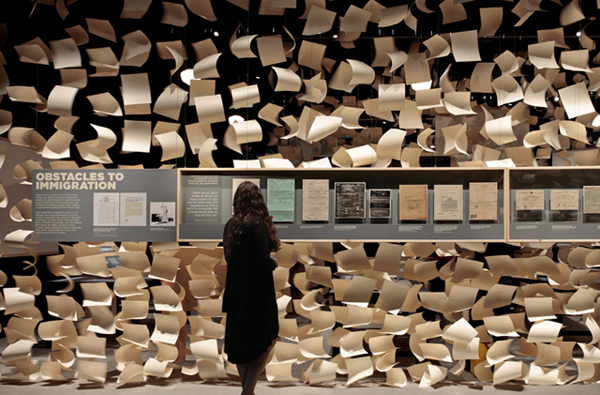 These barriers – often bureaucratic in nature – are represented in the exhibit by large, constantly moving ‘paper walls’ made of suspended curls of off-white paper. 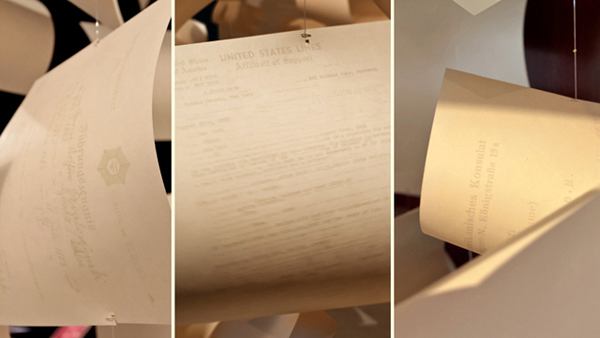 Some of the papers carry the ghosted images of burdensome immigration paperwork that are reproduced from original archival documents. The exhibit features a wide range of motion and audio-visual pieces done in-house at C&G, all of which involve unexpected form-factors or novel visual approaches. 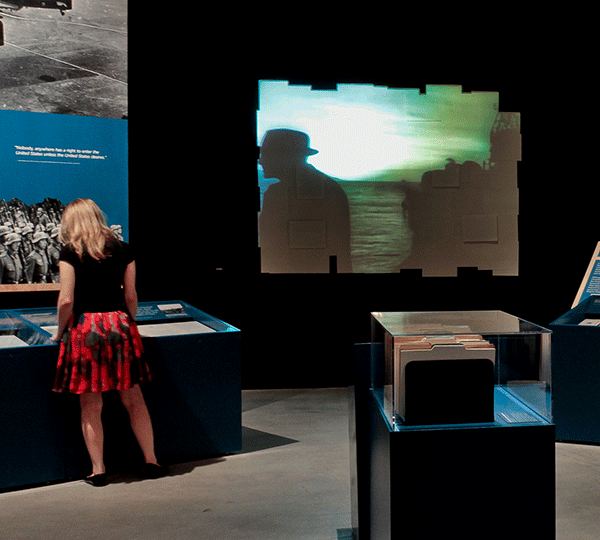 The exhibit also has a haunting sound score that can be heard throughout the galleries. 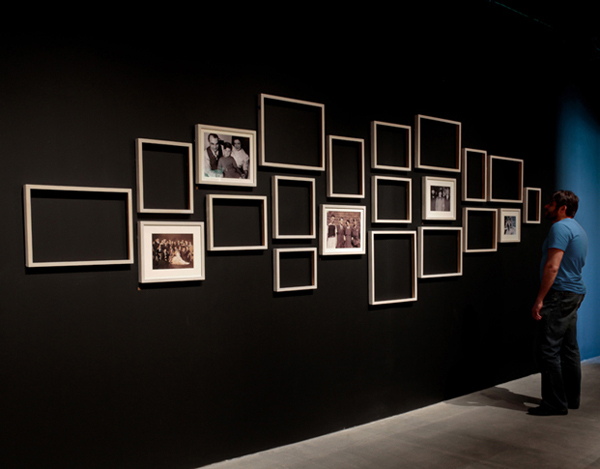 The paper walls – there are no real walls here – also work to divide the exhibition into color-coded zones that tell the story in sequence, from the earliest days of warning, to the desperate crush as Nazi Germany overran the nations of Europe. 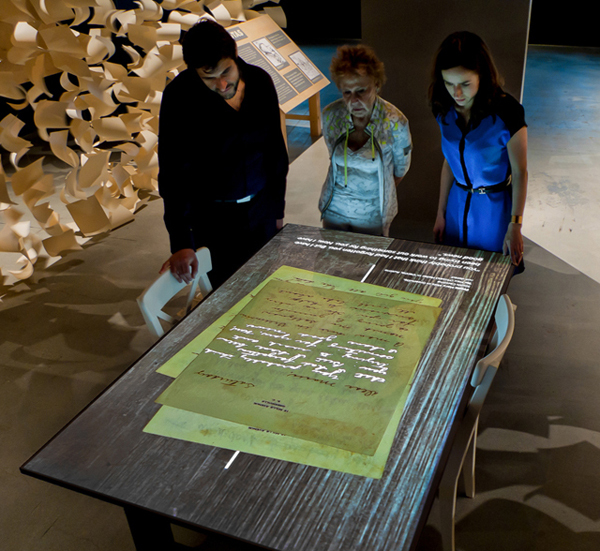 The core of the story is always presented through artifacts, real documents on display throughout. 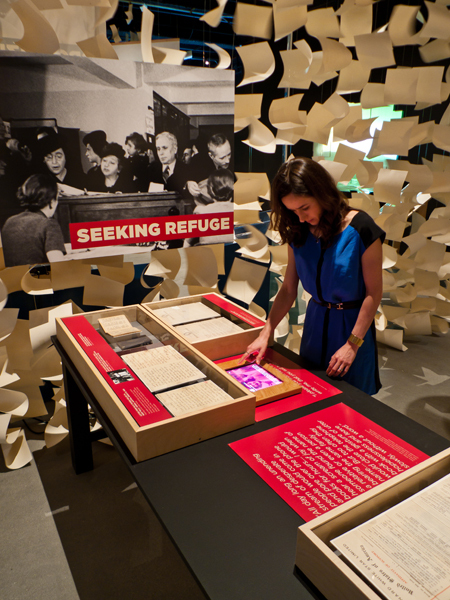 These are supplemented by the interactive experiences, score, AV installations and personal accounts, introducing visitors to the stories of those trying to make it through the savage mechanisms of Nazi-dominated Europe to freedom and a better life, the heroes and heroines who helped, and the many more who were hopelessly trapped. 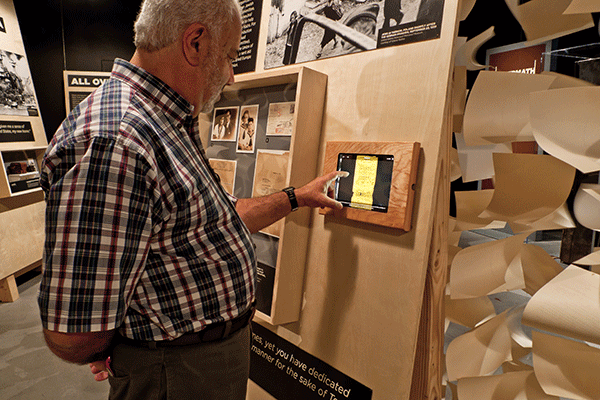 Interactive experiences are delivered through iPads in the space, programmed by C&G, integrated behind wooden covers and frequently featuring the voices of the people featured in the stories.